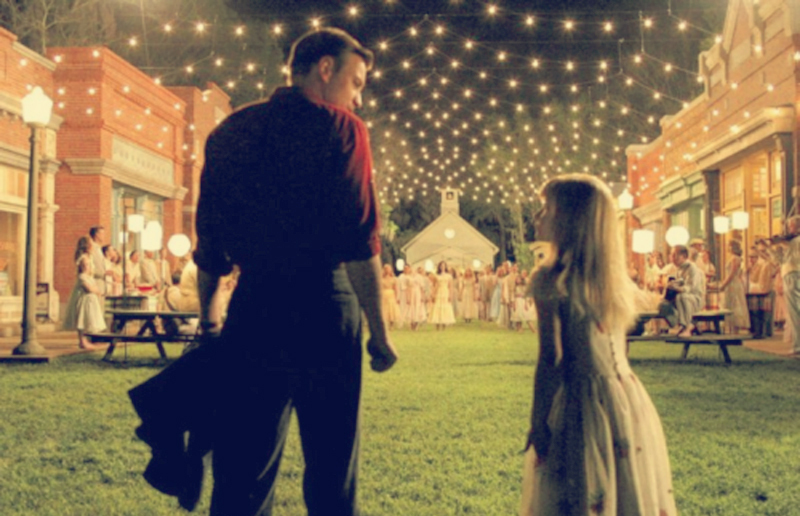 Tim Burton’s 2003 film Big Fish follows the fantastical life of Edward Bloom, played by Ewan McGregor as a young man. With stories of giants, witches, and werewolves, the line between reality and embellishment is always blurry in Bloom’s tall tales, but we’ve always been especially smitten with young Edward’s discovery of the curious — but enchanting — town of Spectre, tucked away behind a haunted forest. Years after his first visit, Edward returns to Spectre to find that the once quaint and beautiful little town has fallen into decay and disrepair. The town of Spectre was actually custom built for the Tim Burton-directed movie on Jackson Lake Island, a small private island situated on the Alabama River outside of Millbrook, Alabama—and it still exists! The now-crumbling set is covered in Spanish moss, but shoes still dangle between the poles marking the town’s entrance (in the movie, the town’s residents all walked around barefoot). While the island is privately owned, visitors, fishers, kayakers and campers are welcome for an entry fee of $3 per day. On the Jackson Lake Island Facebook page, you can find more information about visiting, including a phone number (334-430-7963) and an email (JacksonLakeIsland@gmail.com)—you’ll need a code to open the gate! Bonus: The island is inhabited by some friendly goats! Next: Why Is It So Hard for Women to Be Selfish?